Unfortunately the photo does not do this gorgeous item justice as this fuchsia harness is much prettier 'in the flesh'! It's a deep fuchsia with silvery embroidery in an Asian style floral pattern over nylon. It's size large, for girth 22 -33 inches. Be the envy of your pals and insist your human place your order today! 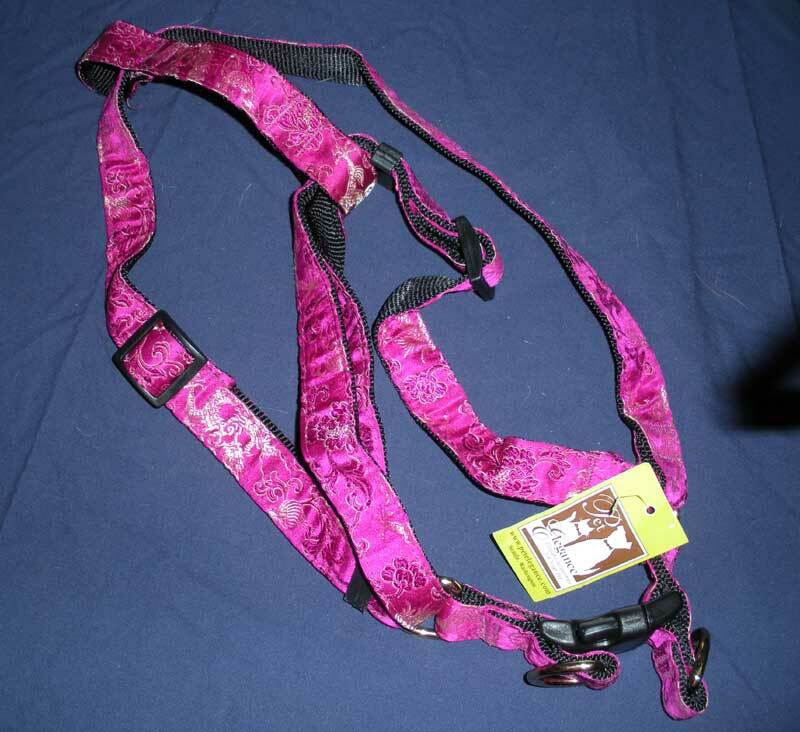 1 no: fuchsia harness 22" to 33"